If you think you’re too busy to eat well, think again. Eating healthier just got extra-easy thanks to an innovative new concept launched this week by Linwoods Foods, producers of the internationally acclaimed Linwoods Health Food product range. For the first time the award winning company is stepping into the snacks aisles, with a slow cooked, natural and nutrition-packed alternative to crisps. Linwoods Snackettes are snacks, but definitely not as we know them. The dynamic little triangle-shaped treats, invented by Linwoods in house team of seeds and nuts gurus, are 100% natural and organic, and minimally processed … a guilt-free option when you get an attack of The Munchies and a whole new angle for a market sector where sales continue to soar. Perhaps the best news is that these cunning little triangles actually do you good, as Sarah Shimmons, Head of Marketing, Linwoods, explains. 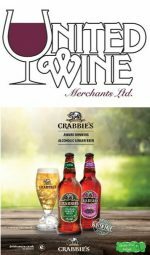 That’s a philosophy which has already paid off handsomely for the Armagh based, family owned company. 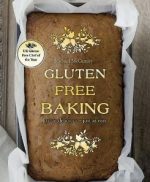 In recent years the business which was founded on dairy and quality baked goods, expanded to create the hugely successful Linwoods Health Food product ranges of healthy seeds and berries, which today deliver accessible, easy to use nutrition to health-conscious consumers right around the world. Sarah says, “When we fancied a healthy snack in a handy packet we couldn’t find one, so we harnessed our seeds, nuts and berries expertise and invented Linwoods Snackettes! The result is a great-tasting alternative to sugar- and salt-filled snacks, perfect to eat on-the-go or post workout; to pop into lunch boxes or simply to enjoy when you feel you need a tasty treat or a pick-me-up. 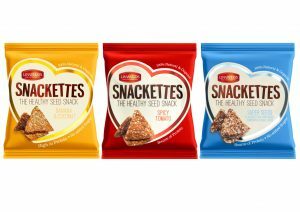 The new Linwoods Snackettes which will be launched in outlets across The UK and Ireland come in three flavour variants: Banana & Coconut; Spicy Tomato and Superseeds.